Our Fleet of Street Libraries is Growing! We have officially launched and registered two new street libraries! 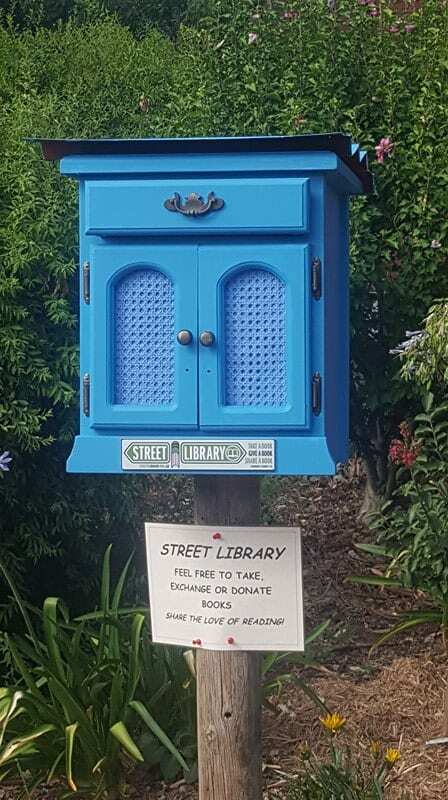 Check out the Book Retriever – a sky blue street library with a secret succulent book shelf! 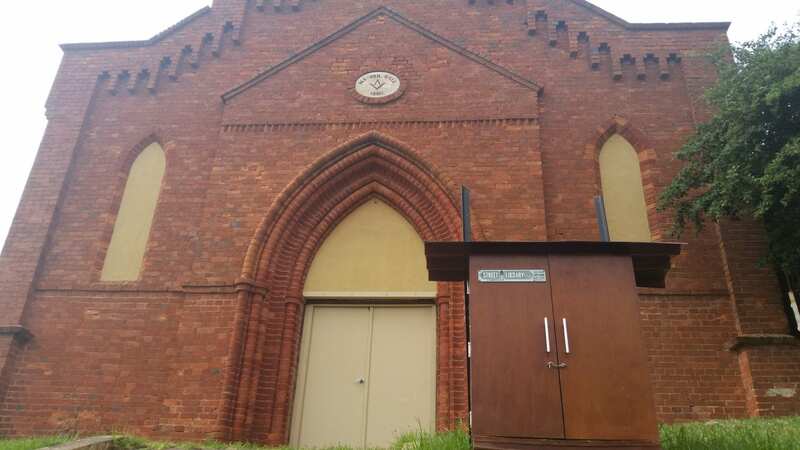 Introducing the Book Lodge – located outside an old Masonic lodge, the Book Lodge has some secrets of its own behind its doors! The library has been mounted! The official launch event is on this afternoon at 5pm – for more details check out the Facebook event. There’s a podcast up as well about the Kitchener Street Library and what went into making it! You can check it out here. We’ve got some exciting news – we’re launching our newest project! The Books for the World – Kitchener Street Library. For more information, check out the Books for the World facebook event! We had a great update from Sekolah Gunung Merapi – the classroom has been painted, the bookshelves installed and class has started again! Check out the photos, the rainforest theme looks incredible. We’ve finished our fundraising campaign for our friends at Sekolah Gunung Merapi with a fantastic result of nearly $700 over our goal. A huge thank you to all our wonderful supporters for their generosity. The extra money means that we will absolutely be able to make repairs to the school building as well as buy more books and school supplies than we’d originally anticipated. We’re pleased to announce that things are already underway for organising repairs, supplies and, of course, books for the school. We’ve already bought our first batch of books for the kids! We’ve also already bought supplies for the much-needed repairs to the school building! Here are some photos to give you an idea of the condition of the school building at the moment. We’ll have more updates soon as repairs get underway. A big thank you to all our supporters for our first fundraising campaign. We’ve reached (and now surpassed) our goal of $1,250 to help our friends at Sekolah Gunung Merapi get repairs to their school building, develop their library and buy textbooks. The campaign is still open for another couple of weeks, and you can find out more about what we’re trying to achieve and how you can help here. We’re very excited to announce the launch of our fundraising campaign to help our friends at Sekolah Gunung Merapi in Central Java, Indonesia to develop their school by raising money for school books, a library and much needed repairs, especially during rainy season. You can read more about our campaign and how you can help a town rebuild after a volcanic eruption here.